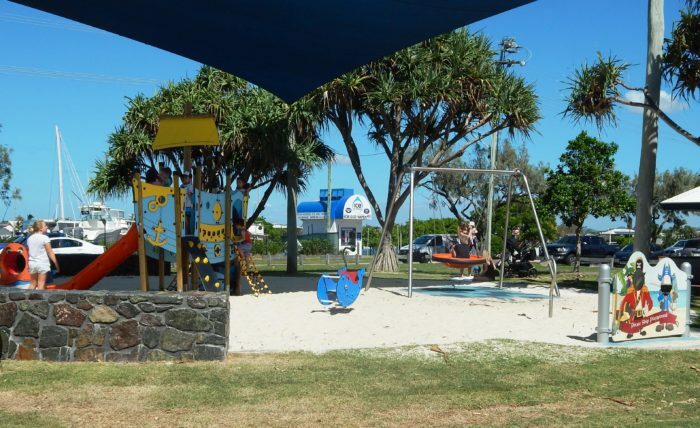 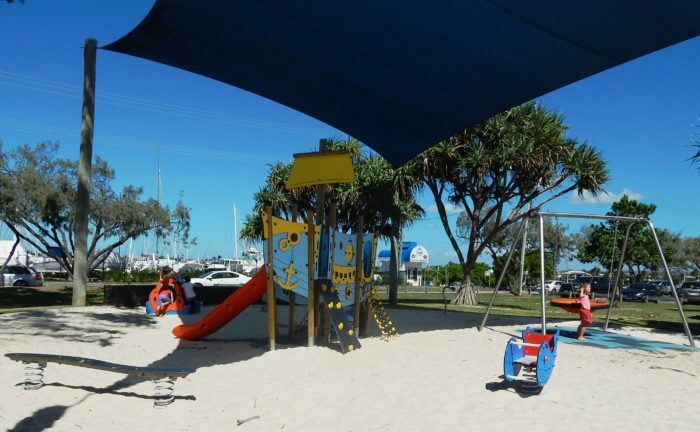 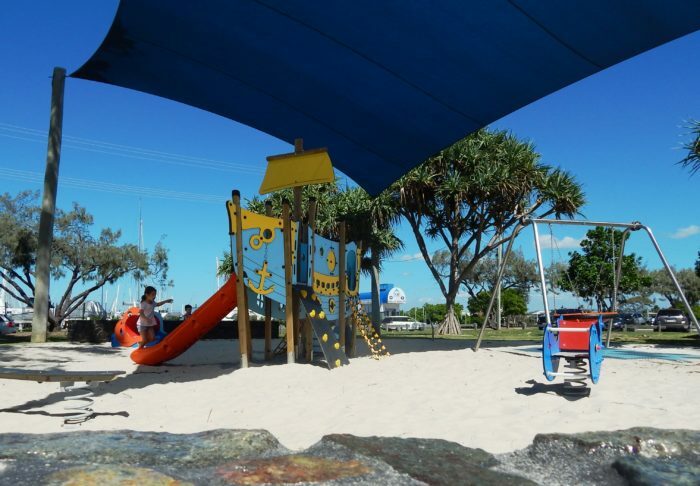 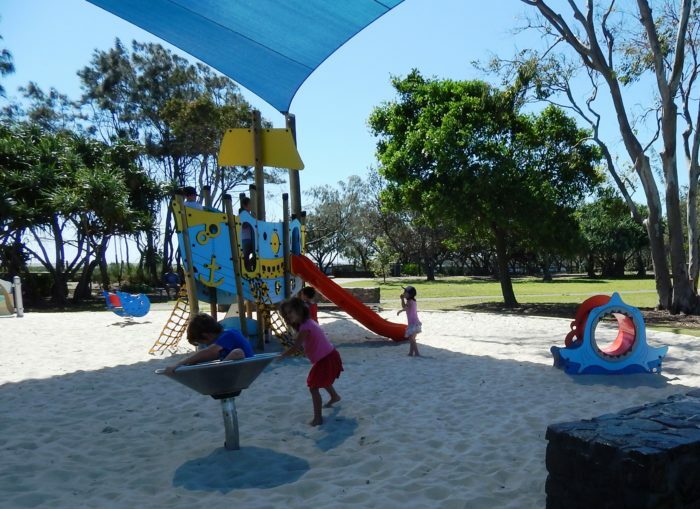 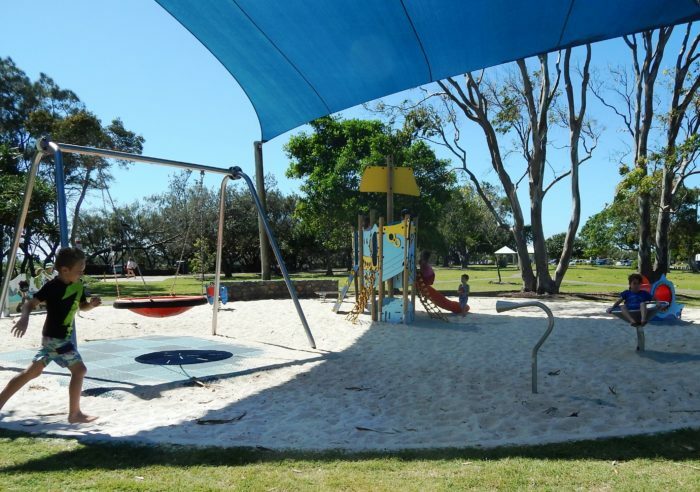 Considered the “place to meet” when spending a day at the local beach, the revamped themed playground here on Mooloolaba Spit has been an instant hit with children and families – both local and visiting. 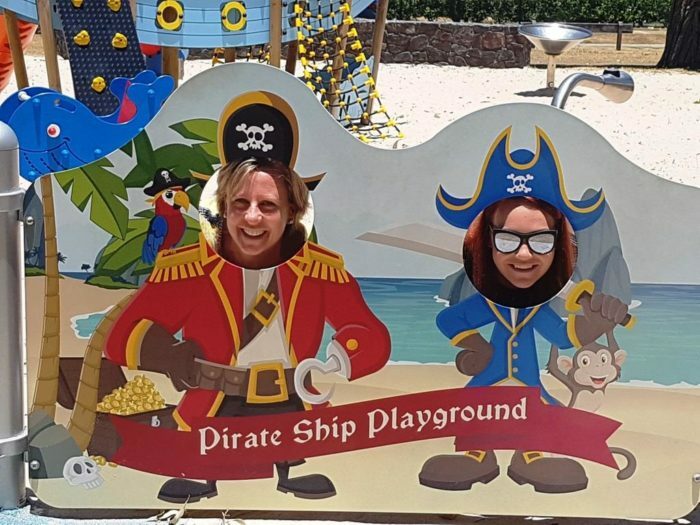 The Play Galleon from Playdale is the feature piece, although a varied selection of themed independents offer something for everyone, creating a magical seaside wonderland. 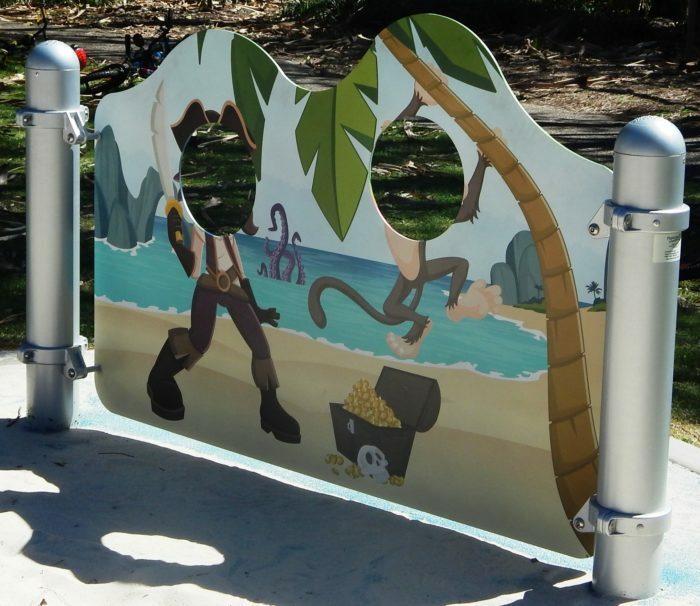 A digital print ‘face in the hole’ panel sets the scene for the imaginative transformation of players into pirates as they head towards their Pirate Galleon, the Whale spring rocker, Octopus/Shark Crawl Tunnel, or to walk the plank on the Wobble Board. 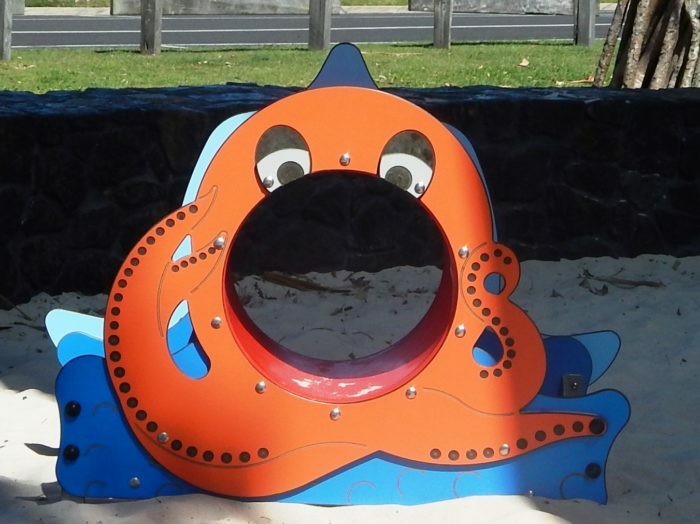 Loud Speaker talking tubes have sailors signalling to each other to warn of pirates as they clamber to safety aboard the All Abilities multi- user Team Swing. 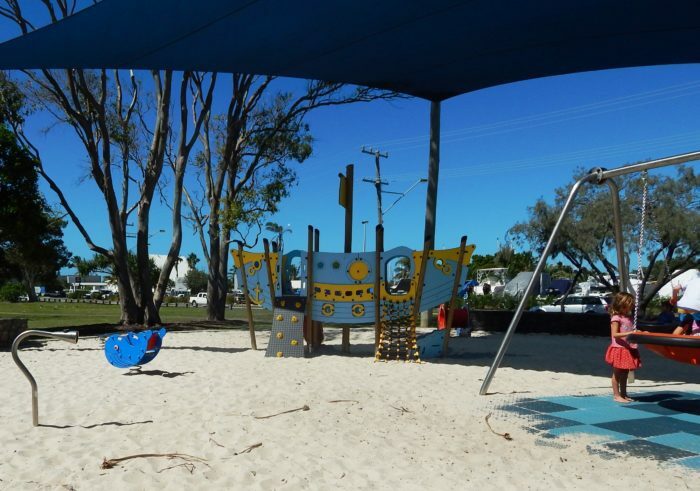 Stainless Steel and high quality laminated timber construction means that product longevity on this foreshore location will have plenty of pirates seeking treasure and good times in this playground in action for many years to come.